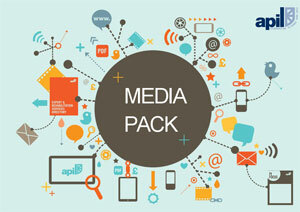 Download APIL's media pack - our comprehensive guide for marketing opportunities. APIL runs three residential conferences each year; our annual conference and AGM in spring, the advanced brain and spinal cord injury conference in summer and our clinical negligence conference in the autumn. APIL runs several one-day specialist conferences each year including: abuse conference, asbestos conference, military claims and accidents abroad conference. Sole sponsorship packages are available at each of the one day conferences, with exhibition opportunities also available at the accidents abroad conference. Our well-established expert witness database holds the details of around 700 experts from a diverse range of disciplines. At present the online directory alone receives 10,000 hits per month and our members carry out over 2,500 unique searches each month. As well as providing APIL members with a valuable resource, we can also provide experts with excellent opportunities to market their services directly to thousands of personal injury lawyers nationwide. A standard package includes contact details and areas of expertise. The enhanced option displays a photograph and logo along with details of expertise within both the directory an online database. Enrol online or through returning a completed application pack, expert database entries remain registered for a full 12 months. Experts also appear in the Experts and rehabilitation services directory sent out to all of our members in June. Advertisers and experts may also choose to advertise in the publication. There are a number of opportunities available for placing a banner on our web site at apil.org.uk, depending on the nature of your business. The members’ password protected area of our website is the most comprehensive information resource available for our members and is easy to navigate through its various forums, groups, publications, and search pages. 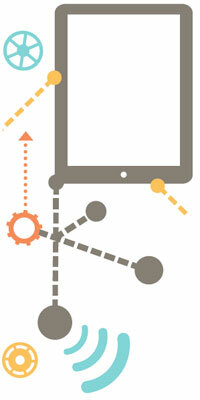 APIL’s PI Focus is circulated to all current subscribing members of the association. It is also available on subscription to organisations supporting the aims of the association or experts choosing the new enhanced subscription. Published ten times a year, PI Focus is packed full of news, reports, essential updates, legal articles, case notes and specialist features for personal injury lawyers. Advertising space is limited in each edition and does book up quickly. The publication is circulated along with a limited number of fl yers. 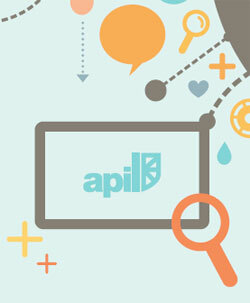 APIL’s expert and rehabilitation services providers’ directory is published in June. The directory is compiled from APIL’s databases which are available online, or as a personal service for APIL members upon request. The directory contains details of around 700 experts and over 150 rehabilitation service providers at the back of the publication. This directory follows a similar style and format to APIL’s membership directory. Please see our terms & conditions page.